I am anxiously waiting for the match between Portugal and Spain, today. I don’t even dare asking for 7 goals, but I believe we will find it within ourselves to score enough to go through to the quarter finals! Update: It was a disappointing match for me… We came home earlier! Congratulations to the Spanish team, they done it better! Foi atingido um recorde. Mais de 1600 pessoas conseguiram chegar ao fim dos 15 km da 11ª edição da EDP Gás Corrida Festas da Cidade do Porto, disputada no último domingo de manhã. Com muito orgulho, fui uma delas! 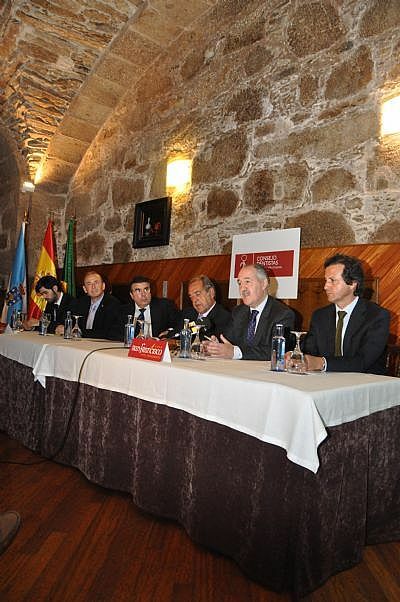 The Spanish Dental Association, in its General Assembly, marked the Oral Cancer European day. Last 11th June I was in Santiago Compostela with our colleagues from Spain where we approach some of the aspects concerning oral cancer: prevention and treatments. Last 2 June, in Lisbon, the Presidents of the four Portuguese Health Professional Regulators (Dentists, Physicians, Pharmacists and Nurses) made a joint organization of a Conference dedicated to the subject «Patient safety versus system’s sustainability». The Health Minister was present at the conference opening. Patient Safety was one of the important issues approached. I stated that one of the prerequisites for «Patient Safety» is the notion of quality at the service of patient safety. There has been a «simplification» of the definition of quality in Health, focused exclusively in the outcomes and neglecting the «structures and processes». You are currently browsing the Orlando Monteiro da Silva blog archives for June, 2010.